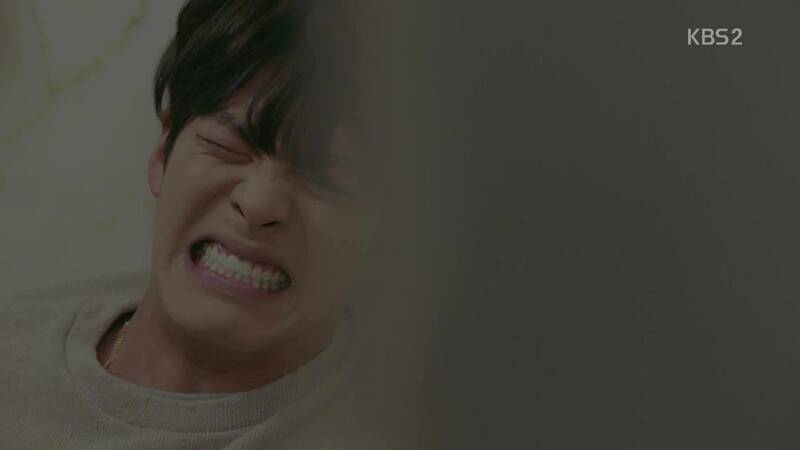 The intersections of relationships and individual goals begin to clear up in episode 4 of "Uncontrollably Fond". And, rather than settling down, the personalities of the main leads remain as capricious as ever and are defined situationally. This episode was Kim Woo-bin's, however. Each scene he was in was laced with such intensity. 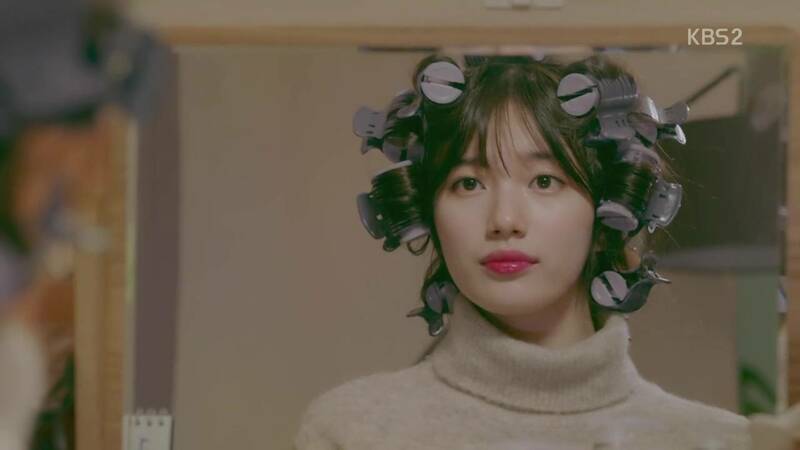 Suzy has also been realistic as No Eul. I mentioned in the last review that Joon-yeong's illness had not been mentioned in a while and this episode addresses that in spades. Cancer begins to work its evil on his body, paining him to the point of tears and vomiting. Kim Woo-bin is so convincing in his pain that I actually cringed for him, remembering terrible pain of my own. I wasn't thrilled with the presence of cancer in the story, but I do like that it was introduced early on and that it's making Joon-yeong take stock of his life. His impulsive behavior is a hinderance to living fully during what little time he has left, and we see him battle his impetuousness and childishness in order to be with the one person he wants to share time with until he dies - No Eul. He quit studying to be a prosecutor because his impulsive behavior led to No Eul's accident and he felt tremendously guilty and unworthy of the position. A battle also rages within No Eul, a woman made so desperate by circumstance that she sets her pride aside to make money in any way possible. Her actions shame her brother, No Jik, who fights to maintain her dignity as best he can and who work to help her pay back their father's debt. It is her feelings for Joon-yeong that begin to change her desperation for money. Rather than betray him for money, she will stay loyal to his offer. It is the first time in four episodes we have seen her refuse a bigger payout, and that is significant. I would like to see more of No Eul and No Jik together. We've met them apart and speaking on the phone, but that is all. 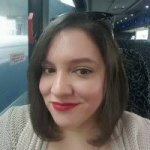 No Jik has even met Ha-ru, Ji-tae's fangirl sister, setting up the web of interrelated family's and lovers that every self-respecting melodrama must have. Speaking of that web, Ji-tae has feelings for No Eul, but is loved by Jeong-eun and agrees to marry her for their parents sake - a political marriage. He also is witness to No Eul's car accident and Joon-yeong's role in it. 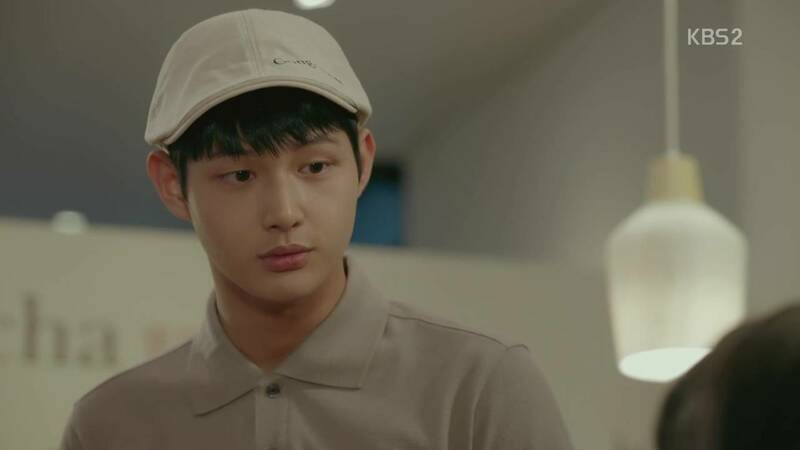 He discovers that he and Joon-yeong are half brothers. He is the main character who knows all, but keeps silent and broods. My favorite moment of the episode is when Joon-yeong discovers the content of the documentary he has agreed to film for No Eul's sake: talking about his bucket list so that he can encourage others through hard times. The topic nails him in the gut. His illness has just begun to painfully manifest, killing his hopes of false diagnosis. He is not feeling very much hope. It's a horrible dilemma for him, but a great dilemma for the show. I'm still not convinced by the pacing or the way flashbacks are used in the drama, both of which seem erratic, but episode 4 did seem to ground the plot after so much backstory and cyclical cliff hangers. So until next week, enjoy the screencaps and I'll meet you for the next tear-filled episode. 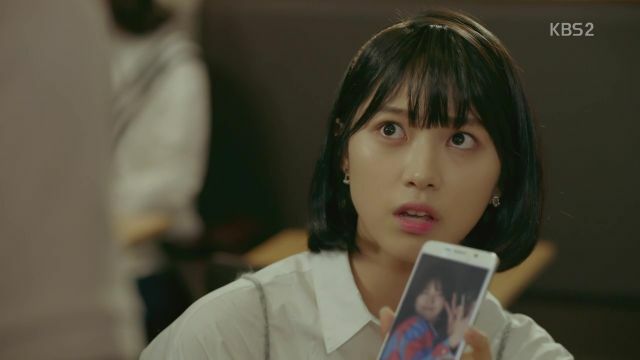 "[HanCinema's Drama Review] "Uncontrollably Fond" Episode 4"
Lee Jin-wook and his agency: "There was no sexual assault, will take legal measures against the accuser"